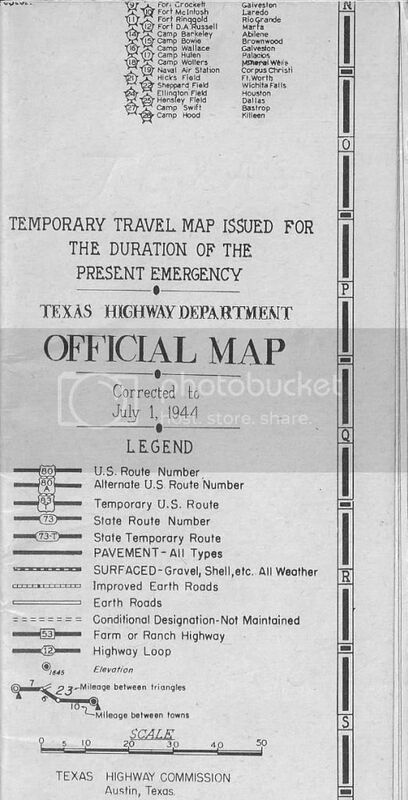 I got this 1944 Texas Highway Department Map for $12 Buy It Now on Ebay. Surely if the Buy It Now had not been present, the price would have gone way up. It says" Temporary Travel Map For The Duration Of The Present Emergency". I don't see anything special about it other than it shows Military Installations and TX Hwy Patrol Stations. I kinda like it better than the typical state-issue maps because it does not have unnecessary pictures or tourism info, just the map.